Darcy as President? I think I’d vote for him. Hi Maria, I would too! Good luck with the giveaway. Enjoyed the excerpt and felt so sorry for Mr Darcy that he was told he can’t apologize. 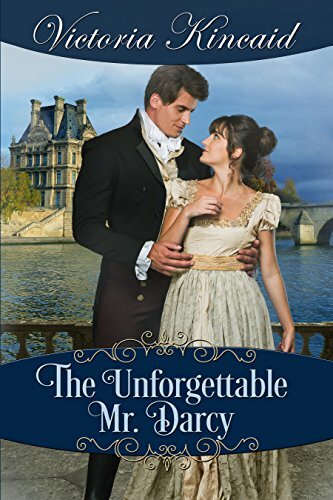 I would love to win either story but my first choice would be The Unforgettable Mr Darcy. I feel sorry for Darcy in the situation too–even though I know they have a happy ending. Good luck with the giveaway! I love both of these books. President Darcy really suffered for that insult and I wonder why Caroline was so set against him apologising (NOT). As for TUMD? I love books where ODC are together from the beginning so Elizabeth thinking they were married was a new twist on that. Loved it! I’m not entering the giveaway as I don’t have audible but thank you for sharing info on these two lovely books Rita. Hi Glynis, I’m so glad you enjoyed both of the books. Thanks for sharing your experience! I loved the book President Darcy. How can Darcy correct this mistake and certainly how will Elizabeth respond to him? I would love to win this audiobook but also have liked the second audiobook, too. Thank you for this generous giveaway. Hi Eva, Thank you for being a faithful reader. I’m so happy to hear you enjoyed my book! Good luck with the giveaway. I LOVED President Darcy and would love to win it. I think he’s in such a tight spot with the insult. Because yes, there are times when it’s not legally or politically a good idea to apologize… and yet personally, it almost always is. It stinks to get stuck in that situation. I enjoyed both books a great deal but I really loved President Darcy (I’m always recommending it to people who don’t read much modern fanfic–it’s just so hilariously funny, and clever, and fun to read! And the Collins character has me rolling every time he’s mentioned.). It would be wonderful to win it and be able to listen to it in the car on my way to and from my workouts. Hi Sarah, Thank you for your feedback on President Darcy. It made my day! Good luck with the giveaway. 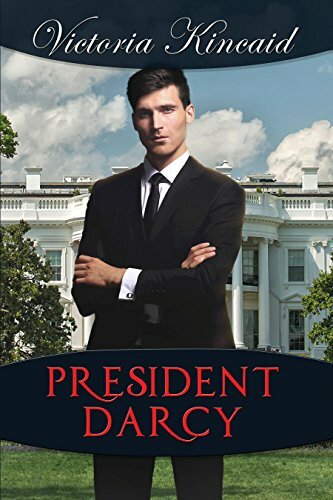 President Darcy sounds like such a wonderful book and since I have read The Unforgettable Mr. Darcy, I already know that book is especially good. My all-time favorite Victoria Kincaid book is “The Secrets of Darcy and Elizabeth”–it is permanently on my re-read list! I’m a novice with audiobooks (I don’t have any), but would love the try the technology. Please enter me into the drawing for either book. Thank you, Victoria Kincaid. You are an awesome author. Thank you for being a faithful reader! I’m so glad you enjoyed some of my books. Good luck with the giveaway! Hi Tasha, I’m so glad you enjoyed both the books. Thank you for sharing. Good luck with the giveaway! Must admit I haven’t read any if these books yet! I love the assumption,mistaken as it is,that Elizabeth and Darcy are married! Mr President sounds wonderful,as I can well imagine how restrictive his life must be,in many ways. Just wanted to drop by to wish you luck with these audiobooks,Victoria. Stevie is a great narrative and I’m sure Lucy has a wonderful voice too. Please don’t enter me in the draw. Thank you for hosting,Rita.